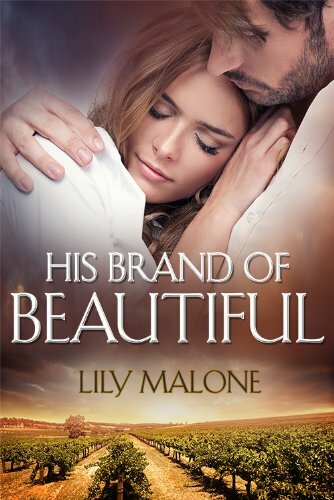 HIS BRAND OF BEAUTIFUL promises everything a good romance has: a strong heroine, a handsome and successful hero, instant attraction, obstacles to overcome, and a villain set on destroying the couple’s happily-ever-after. After reading the book’s description, which promises confusion leading to the heroine owing the hero a favor, I was looking forward to seeing how everything unfolded. This book didn’t go exactly in the direction I expected. The two lead characters can’t seem to decide whether they want to be in a relationship with the other (not unheard of for a romance). That doesn’t stop them from feeling—and acting on—their obvious chemistry, which happens awfully fast (again, not unheard of in romance). When the hero finally realizes what he wants, he commits to achieving his goal. The heroine, however, seems to waffle back and forth. And while she seems to be kind-hearted, she’s more than a tad manipulative, which makes her a bit unsympathetic. Given her history, the reader feels for her, but this reader didn’t empathize with her quite enough. This book is set in Australia, and some of the descriptions are quite lovely. I felt like I could see the sights and hear the sounds. Unfortunately, some of the dialect is so heavily Australian that it almost seems to be a foreign language. The tone could be set with slightly less use of the indigenous vernacular, and then it would market globally a bit better. Many readers might not be confused by the terminology, but it confused me some of the time. The climax seemed to rush, given the pace of the rest of the book. It was heavily foreshadowed, so it was no surprise. But the big issues got resolved completely, which is good. I hate endings that leave major plot points unresolved and questions unanswered. This one didn’t. I recommend this book if you’re looking for a quick read, heavy on the romance and angst. It will be beneficial, however, if you understand the Australian lingo and customs before undertaking it.